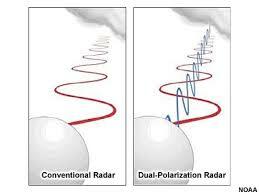 [NOAA] One of the most recent advancements in Doppler Radar technology over the last decade is dual-polarization. Polarimetric radar — and polarimetry — improves the accuracy of precipitation estimates, detects aviation hazards, can identify precipitation types, and can spot many other items such as bats or even tornado debris. When it comes to Doppler weather radar, scientists with NOAA National Severe Storms Laboratory wrote the book, literally. 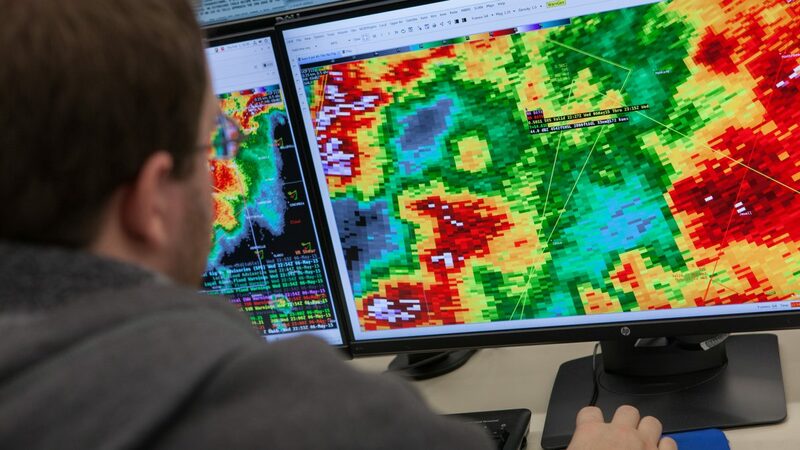 Publications authored and co-authored by researchers at NSSL and the Cooperative Institute for Mesoscale Meteorological Studies expanded knowledge on radars and provided strategies used by weather forecasters today. After more than three decades, those scientists have done it again. A new book by CIMMS Senior Research Scientist Alexander Ryzhkov, and co-authored by NSSL Senior Scientist Dusan Zrnic, highlights dual-polarization, often called the biggest technological upgrade to Doppler radars since they were first installed. The book, “Radar Polarimetry for Weather Observations,” published by Springer Nature, offers an array of information on weather radar polarimetry. In addition to connecting processes responsible for the development and evolution of the bulk of clouds’ physical properties, the publication also provides up-to-date polarimetric methodologies. The publication will appeal to practicing radar meteorologists, hydrologists, microphysicists, and modelers who are interested in the bulk properties of hydrometeors and quantification of these with the goals to improve precipitation measurements, understanding of precipitation processes, or model forecasts.